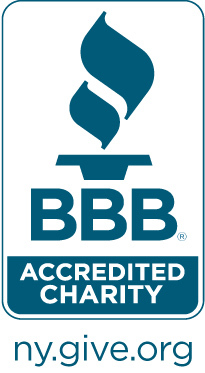 The most direct and immediate way to help LFC is to provide financial support so that our attorneys and social workers can continue to make a real difference in the lives of thousands of children in foster care each year. Read Isaac’s story below to see just one example of how, with your support, we can change the lives of children in need. Click on Matching Gifts to find out how you can double the impact of your gift by using your employer's donation matching program. 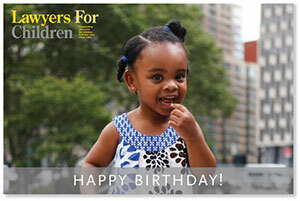 Send a Lawyers For Children eCard donation to celebrate a special birthday or holiday, send your congratulations, honor a friend or family member, or pay tribute to a loved one. When Isaac* was only two his mother, who suffered from schizophrenia, left him with an elderly neighbor and never returned. He was placed into foster care and Lawyers For Children was assigned to the case. 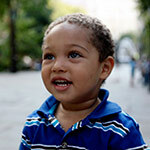 Isaac's LFC social worker immediately began contacting members of his extended family, and soon reached his grandmother in Georgia, who was shocked to learn that her grandson had been abandoned. She expressed her desire to care for and adopt him as soon as possible. After the LFC social worker went to Georgia to evaluate the home, Isaac’s LFC attorney went to court to obtain an order permitting him to move to his grandmother’s home. Once he was settled and his LFC social worker confirmed that he was doing well, their LFC attorney expedited the filing of an adoption petition. At the eleventh hour the agency informed LFC that the adoption had collapsed because the grandmother no longer wanted to adopt. LFC quickly ascertained that the grandmother desperately wanted to adopt but simply did not have plane fare to travel to NYC for the final hearing. LFC’s client emergency fund paid the airfare, the adoption was finalized, and Isaac has been thriving in his grandmother’s care ever since. *In order to preserve client confidentiality, names and other details have been changed. Volunteer models appear in all photographs that depict LFC clients. Photographs courtesy Ben Fink Shapiro Studio and Jasmin Ortiz.